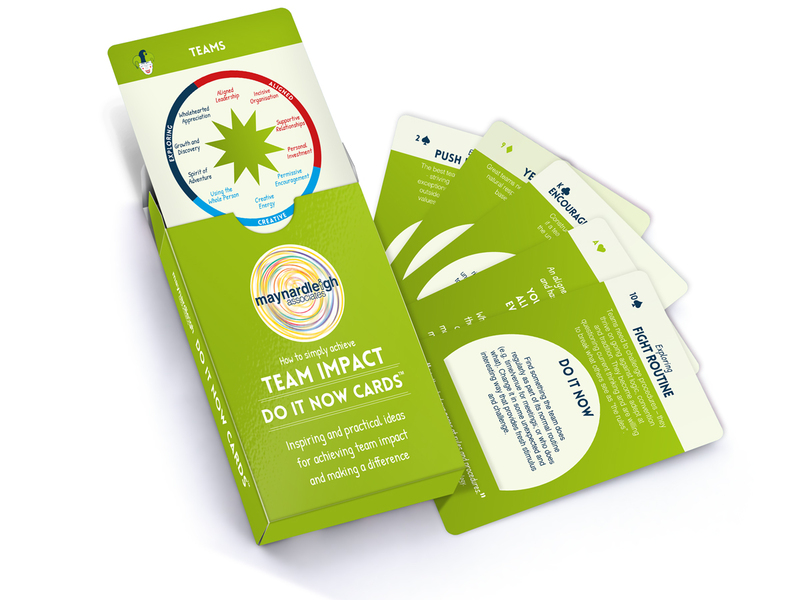 This pack of Do It Now Team Impact cards are a practical resource to help deepen your learning experience with Maynard Leigh. Each week, pick a card to reveal a Maynard Leigh tip on how to create an ACE Team (Aligned, Creative and Exploring), along with an action point designed by our experienced executive coaches, and an inspirational quote. This pack of 'Do It Now Action cards' can be used weekly as there are 52 cards in each pack. They are part of the 6 set series - Do It Now Impact cards which can also be purchased; Engaging Talent, Lead with Impact, Communication & Impact, Personal Impact and Presentation Impact.